Marine Staff Sergeant Frank Wuterich has a deeper understanding of the concept of duty. Yesterday he agreed to plead guilty to negligent dereliction of duty in the 2005 killing of unarmed Iraqi civilians at Haditha. Three Marines from Camp Lejeune have also been receiving a belated education in duty. Their case will be unfolding on the world stage. It appears we might be hearing more about duty in the coming weeks. But why is it important (as General Lee is purported to have said) to “do your duty” in all things? The short answer is that it speaks to character. If you do what you are supposed to do, regardless of whether someone is watching, you are responsible. You are dependable. You have integrity. These are good traits. They create trust. 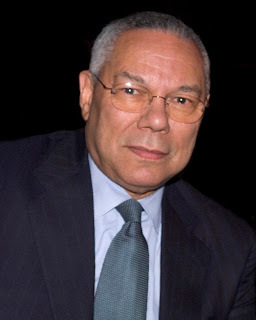 Colin Powell withheld information on the Valerie Plame disclosure from his Commander in Chief. His actions were criticized, but not seen as dereliction of duty. A Senate aide is charged with leaking classified information. The aide (a former CIA officer) released the information to discredit the Bush administration. The New York Times published the story, setting aside any journalistic concern for duty. A sense of moral virtue appears to absolve people from doing their duty. It makes you wonder what General Lee would think.